Sponsorship- Help support Preppings by becoming a sponsor. We have over 2300 pages of relational content that keeps users clicking from page to page. We are seeking sponsors that want to reach chefs’ and foodies and compliment our passion for food. Email Inquiries- We have attempted to make the Preppings website as accurate as possible. The website will be continuously updated, but like any growing thing, there can sometimes be imperfections. We welcome positive and constructive comments about changes that you would like to see to the website. In cases of dueling opinions regarding search results, we will put it out there on our Facebook page and let users vote on an item and if any changes should be made. 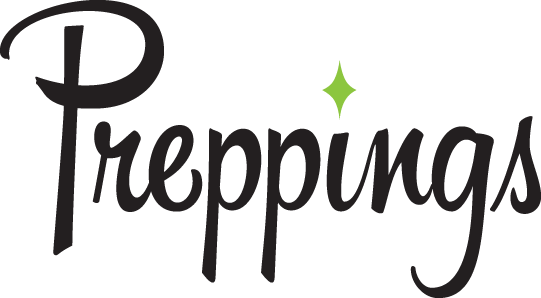 Remember the Preppings website is designed as a reference and to assist with the creative process of discovering new ingredients and dishes. Newsletter- We send out a newsletter to your email inbox approximately once a month. We never sell your email address to anyone or solicit products. From time to time we my work with a sponsor to offer our users culinary related products that is cohesive with our mission of discovering new items. I am interested in becoming a Preppings Sponsor.